Dozens of national meeting planners hopped into a cab in Toronto, Canada and took a 2 minute ride through Omaha - virtually speaking - thanks to the magic of green-screen technology. Meeting planners had the chance to take Omaha&apos;s Adventure Cab ride during the American Society of Association Executives (ASAE) Annual Meeting and Expo in Canada. The annual meeting is the largest yearly gathering of meeting planners. "Not only did the Omaha Adventure Cab gain attention in front of more than 4,800 ASAE attendees, but it also allowed direct interaction between Omaha&apos;s sales team and over 100 associations with potential business for Omaha," said Dana Markel, Executive Director of the Omaha Convention and Visitors Bureau. Omaha&apos;s Adventure Cab featured a 3-sided cab, green screen technology and an entertaining cab driver who took planners on a virtual tour of Omaha. The result was a fun, interactive experience for attendees and a valuable networking opportunity for Omaha&apos;s Sales Team. 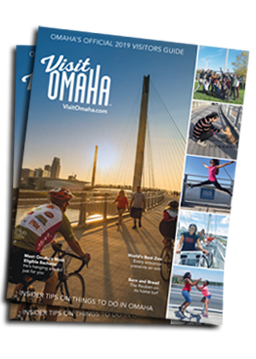 Each planner received a copy of their Omaha Adventure Cab video to share, with the added goal of increasing awareness of Omaha as a fun and creative place to hold a meeting. "Convention business helps grow Omaha&apos;s economy by bringing new revenue into the city, that&apos;s why it is increasingly important to continue to showcase Omaha as a convention destination," added Markel. Omaha&apos;s sales team lead by the Omaha Convention and Visitors Bureau (OCVB) included representatives from Qwest Center Omaha, Hilton Omaha and the Doubletree Hotel downtown.